So news is currently breaking that Mathieu Debuchy is on his way out of the club on loan for the rest of the season. It is currently destination unknown, but it should not come as a surprise to anyone. Signed in the summer of 2014, Arsenal looked to have got a solid replacement for Bacary Sagna. Premier League experience, and keeping Sagna out of the French national team at the time, a £12million deal with Newcastle went through very quickly. 18 months on and he finds himself on the bench at Arsenal and with just 45 minutes of international since the 2014 World Cup, his career has spiralled down hill quickly. The cruel would say he has been one of Arsene Wenger’s biggest flops. However, it is not as easy as to just label him a flop. There is a very curious, very unique, set of circumstances which account for the Frenchman’s demise. When he was signed in July 2016, he was already 28 (he turned 29 11 days after signing, so some would argue he was already 29). He was clearly signed as a short term replacement for Sagna. At the club already, we already had 2 right backs. Hector Bellerin and Carl Jenkinson. Both talented, yet both unproven. Bellerin was just 19 and had just returned from a fruitful, yet short, loan spell at Watford. He had just 1 Arsenal appearance to his name as an extra time substitute on the League Cup. Jenkinson meanwhile was 3 years Bellerin’s senior at 22, but there were plenty of question marks over him. He had not really built on his early promise having signed out of nowhere from Charlton at 19, and his performances in the previous 2 years could be described as average, at best. So we have one talented young right back without a Premier League game to his name. And another who’s ceiling was (and still is?) a 2nd choice right back at the club. Sagna at the time was a perfect foil for these two. At 31, he only had a couple of years left at the highest level. Just long enough to make a decision on the future of Bellerin and Jenkinson. But he jumped ship to Manchester City. That left Arsenal in a conundrum. Do they take a point on the unproven (Bellerin), rely on the questionable (Jenkinson) or make a move in the transfer market. The latter was always the best option. It was then a case of what to go for. Some for long term, that would kill any potential chance of Bellerin or Jenkinson (both home grown remember) of breaking through into the first team. Or someone like Sagna, towards the end of his career, who could do a job for 2/3 years as other players developed. We plucked for the latter (again). And in Debuchy, we found the perfect signing. An attacking full back, 28/29 years old, been playing in the Premier League for 18 months for Newcastle, and France’s first choice right back. He ticked all the right boxes. Signing Debuchy allowed us to send either Bellerin or Jenkinson on loan to another Premier League club to continue their development, whilst keeping the other as Debuchy’s understudy in case of injury. Jenkinson packed his bags and it left Arsenal with a clear number 1 and 2. Debuch yas first choice. Bellerin as 2nd choice. At this stage it looked like Jenkinson’s Arsenal career was over. Especially with Southampton right back Calum Chambers joining the club. Jenkinson would be 23 over the next season. And if Debuchy stays for the expected 2/3 seasons, he will be 25/26. Would he really go on 3 loan deals? To then return as back up? Unlikely. Unless anything exceptional happened, Jenkinson would be sold in 2015/16, and Bellerin likely loaned out for the same season with Chambers providing the cover for Debuchy at right back. But the exceptional did happen. After a decent enough start to his Arsenal career – only slightly tarnished by a sending off for two cautions against Besiktas, it was looking good. The plan was coming together. With Chambers putting in solid performances at centre back, it meant that Arsenal could look at loaning out Bellerin for the 2nd half of the season. Then disaster. 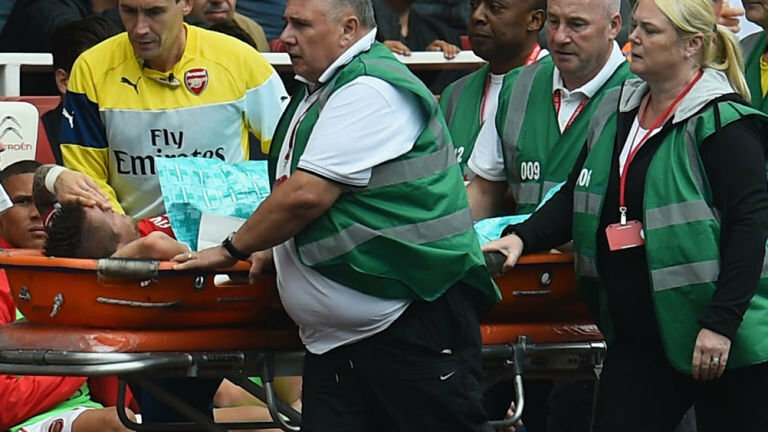 Debuchy was stretchered off (and administered oxygen) against Manchester City in mid-September having done his ankle ligaments. Ruled out for 3 months. Given first chance was Spanish youngster Bellerin, who came in for Borussia Dortmund and was hopelessly out of place. He looked young, he looked scared, he was a deer in headlights. He was clearly not ready. Discarded after 1 game, Calum Chambers was given the chance after the International break, where he had made his debut for England. Chambers looked. Bellerin was given a second chance in the next game as Chambers was moved inside for the League Cup game against Southampton. It would be nearly a month until we saw Bellerin back in an Arsenal shirt when an injury to Koscielny forced Arsenal to push the impressive Chambers inside for a game against Sunderland. It was just the one game though as for the next few games, Arsenal went with Chambers right back, and Nacho Monreal at centre back (incidentally, it was this run at centre back for Monreal which caused him to jump ahead of Gibbs at left back, making his Arsenal career). Then the Arsenal injury curse negligence hit again. This time Monreal out. 6th December 2014. Bellerin started again, with Chambers once more moving inside. Bellerin was substituted at half time, 3-0 down, Chambers sent off with 12 minutes to go. At this time, Arsenal fans are looking at when Debuchy is back. Glad that the club did not rely on the young talented players. Wondering why we loaned out Jenkinson, who was on form for West Ham. With Chambers suspended, in came Bellerin again. And this time, looked a lot more assured. Coupled with further injury problems in the middle and at left back, it saw Bellerin have a 4 game run in the team, even once Debuchy was fit again. With the Frenchman deputising at centre back and left back. Arsenal were finally back to their first choice defence of Debuchy Mertesacker Koscileny Monreal in a game against Stoke in early January. After 13 minutes, the exceptional happened again. 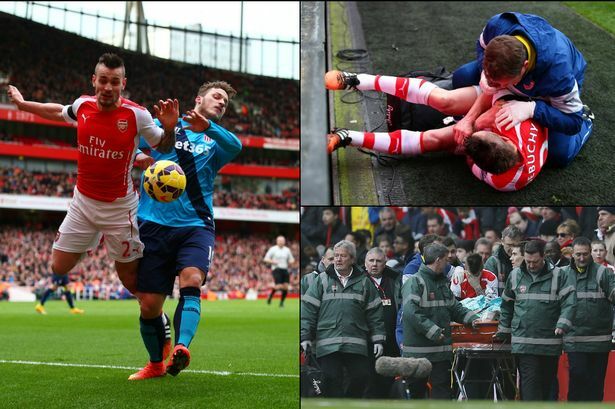 Debuchy was pushed when in the air and already off the pitch, landed heavy, and once more hard to be stretchered off. Another 3 months out, this time with a dislocated shoulder. Rather than return to Chambers, Arsenal gave Bellerin another run out in the side. He had grown since that start against Dortmund and put in an assured performance in a crucial game away against Manchester City, following this up by scoring his first Arsenal goal against Aston Villa. By the time Debuchy returned to fitness with just a few weeks to go till the end of the season, Bellerin had made the right back position his own. An attempt to blood Debuchy back in during the Reading game in the FA Cup (in preparation for the end of season run in) failed as he looked off the pace. He was clearly being rushed back. Bellerin returned for the final 7 games of the season, picking up an FA Cup winners medal in the process. The actions of the club over the summer of 2015 perhaps showed where Debuchy’s future lied. After an impressive spell at West Ham, a £10million deal for Jenkinson was reportedly on the table. Had Arsenal accepted this, it would have shown Debuchy was first choice again. After all, he was an experienced international, and surely not hang around as 2nd choice at Arsenal, especially with a home Euro’s coming up where he would likely make the squad, hopefully start. Jenkinson was once again loaned out, which caused speculation about Debuchy’s future to begin. Would he start the season as 1st choice? Does Bellerin deserve to be dropped? 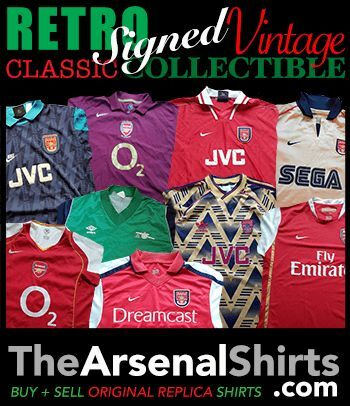 Would Debuchy be sold? West Ham at home, first game of the season, Debuchy started. Arsenal lost. Whilst the defeat was certainly not the Frenchman’s fault, he was the fall guy, and Bellerin was bought back in having performed well the week previous in the Community Shield against Chelsea. Debuchy would only be seen against fleetingly. When Wenger decided to shuffle the squad in the Champions League or League Cup. Each time he looked well off the pace. Not fully fit. Struggling for match sharpness. So here we have it. A French international, bought for the short term, getting an injury which, due to many other circumstances in the pot, led to Bellerin getting a few chances, and finally taking one. Who could have expected Debuchy’s long term lay off? Who could have expected Bellerin would finally take the chance with both hands? It was going to take an exceptional set of circumstances to see Debuchy end up in his current situation. But the stars aligned (for Bellerin) and the worst case scenario happened for Debuchy. With Jenkinson on loan at West Ham (where he is struggling), he would have been sitting over Christmas, pondering his future. The Arsenal door looked shut, and a move out of the club in the summer likely. At 30 (31 this summer), his career coming to an end, and with that home Euro’s looming, it should not be a surprise to anyone that he is looking to move in January. He knows he does not have a future at Arsenal. He does not even have a present. People who call Debuchy a flop are wrong. He is the victim of circumstances that conspired against him. Whilst his 22 game Arsenal career will not live long in the memory, it would be unfair to put him at right back in a ‘Worst Arsenal XI’. Good luck Mathieu, and I hope you regain your France place for the Euro’s. This entry was posted in Arsenal and tagged Arsenal, Calum Chambers, hector bellerin, Mathieu Debuchy, She Wore, She Wore A Yellow Ribbon on January 5, 2016 by keenosafc. We grabbed him from Newcastle, we all liked him at first ( remember, Huh, you guys of very short memory) he was CLASS ! we all liked him ! C’Mon!! Wakey wakey ! Just feel sorry for the guy …hit some injury..not nice… Decent football player. Quite quick and actually intuitive , we liked that at our club, too good for other clubs. He’s a top man , it’s a sad thing.